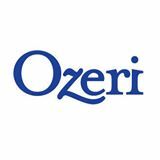 Ozeri's 360 Oscillation Tower Fan, with Micro-Blade Noise Reduction Technology is amazing! I'm amazed at how quietly this fan runs, especially because it has amazing air output. What I absolutely love the most about this Ozeri 360 Oscillation Tower Fan is that you can put it in the middle of the room when you have guests over and everyone can have a little cool air. I live in Arizona and we do a lot of cooking at our family get together's so we always use a tower fan to keep things a little cooler. With this Ozeri 360 Oscillation Tower Fan the air is disbursed throughout the room and the air feels much cooler in the entire room. No one's left fighting for the good spot in front of the fan! This Ozeri 360 Oscillation Tower Fan comes with a remote to control the fan and even has an 8-hour programmable timer. I'm absolutely in love with this fan!